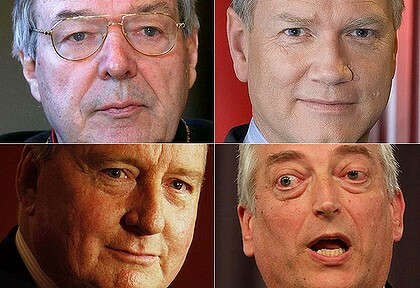 Conservative white men … (from top left) Cardinal George Pell, Andrew Bolt, Alan Jones and Christopher Monckton. When it comes to climate change, most people have heard of the greenhouse effect, but what about the “conservative white male” effect? A US-based study has found that white men with politically conservative views are far more likely than the rest of the population to doubt the science of human-caused climate change. And the “conservative white male effect” has been linked to Australia, with one prominent researcher citing the existence of a successful, politically engaged and outspoken coterie operating in high-profile positions that attract wide media coverage. In the US researchers’ paper published in the journal Global Environmental Change, Dr Aaron McCright and Dr Riley Dunlap analysed data from 10 annual US opinion polls on environmental issues. They found 58 per cent of conservative white males – or CWMs for short – thought recent global temperature rises were not caused mainly from human activities, such as burning fossil fuels. This compared with 31 per cent of other adults. Some 29 per cent of CWMs thought the effects of global warming would “never happen” compared with only seven per cent of other adults. The paper, titled Cool dudes: The denial of climate change among conservative white males in the United States, found CWMs who claimed they understood the global warming issue “very well” were even more convinced that global warming wasn’t happening. The researchers concluded that “organised climate change denial” had spread from US conservative think-tanks to other nations, including New Zealand and Australia. Professor Joseph Reser, a Research Fellow with Griffith University’s Climate Change Response Program in Queensland, agreed broadly with the findings, but said his own research and other comparable studies from the US and Europe suggested the proportion of true climate change sceptics was much smaller. 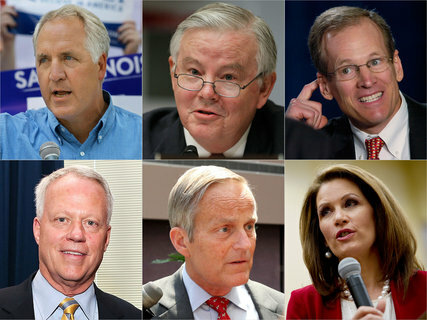 “If you look at this group of conservative white males, less than 30% are characterised as denialists – they are not a majority even within this grouping,” Professer Reser said. He said the fact conservatives were unduly confident about their own views on climate change “also makes them less open to differing views or able to accept that they might be wrong”. Dr Kelly Fielding, a senior researcher at the University of Queensland’s Institute for Social Science Research, said political affiliation was strongly linked to climate change beliefs. Dr Fielding was part of a research project which last year surveyed more than 300 Australian political leaders. Only 38 per cent of Liberal-National politicians thought humans were causing global warming, compared to 89 per cent from Labor. But she added that political conservatism wasn’t linked to climate scepticism everywhere, pointing to Germany and the UK as examples. Dr Reser led a national survey last year of more than 3000 Australians which found 90 per cent of respondents accepted humans were “playing a causal role” in climate change. Less than six per cent could really be classified as strong disbelievers, he said. There was also a distinct gender divide, with more women willing to accept the scientific evidence. Criticising the current political debate around climate change, Dr Reser added: “What’s happening with the Coalition and their prominent spokespersons is that they are playing on public concerns and worries about not only the profound threat of climate change, but multiple and interacting social, political, and environmental issues, both national and global. “People in turn want to hear that things are not as bad as they appear to be. This might be an effective political strategy, but it is also a rather crass exploitation of very genuine public concerns for the sake of political point scoring – rather than seriously acknowledging or addressing these genuine concerns – or indeed the core challenges of climate change.